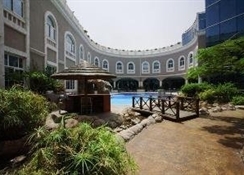 The hotel and resort is located between the Arabian Gulf and the centre of town. It has all the services and facilities guests may need for a pleasant stay. Guests will be able to visit the beach area as well as the major attractions in town. They can go to the famous Sharjah Blue Souk and visit museums as well. This new city hotel has a unique semi-circular structure. 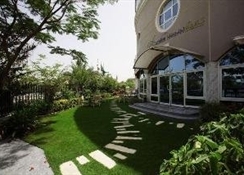 It is an ideal choice for business and leisure travellers. Guests are welcomed in a lobby with 24-hour check-out service. There is also a restaurant on the premises. Each air-conditioned room has an en suite bathroom and a double bed. Amenities include a direct dial telephone and a satellite or cable TV. Guests can take a dip in the outdoor swimming pool. 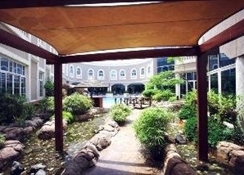 Guests can take a dip in the outdoor swimming pool. 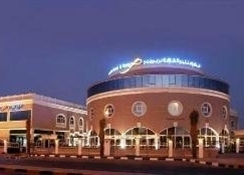 This new two storey city hotel which has a unique semi-circular structure is strategically positioned between the clear blue waters of the Arabian Gulf and town centre. The hotel consists of 86 deluxe guest rooms and suites including 2 business suites and 7 executive suites, making it an ideal choice for business and leisure travellers. 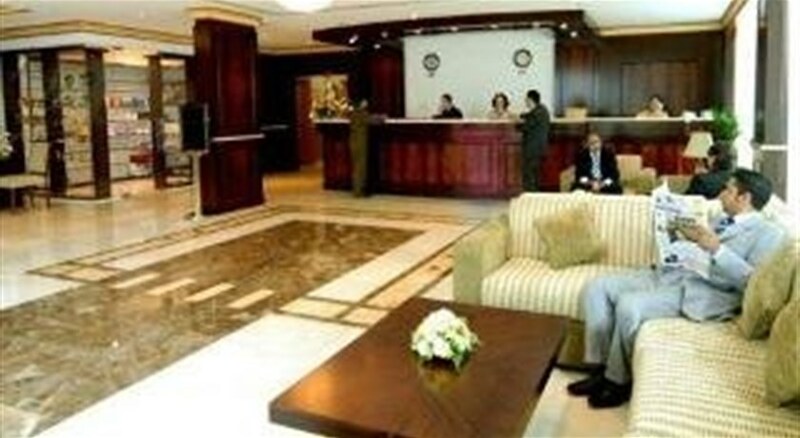 The establishment is air-conditioned and guests are welcomed in a lobby with 24-hour check-out service. 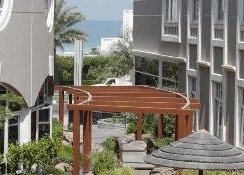 There is also a restaurant on the premises.Each room has an en suite bathroom and rooms are furnished with double beds. 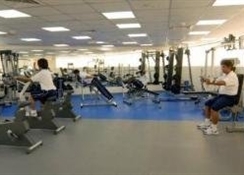 Amenities include a direct dial telephone, satellite/cable TV and individually regulated air conditioning.